Could you walk into a room, take a sniff, and blindly identify the strain of cannabis burning? Or based solely on a drag off a pipe, joint, or vaporizer, could you describe in detail what you taste? What’s the flavor that lingers on your tongue and on your palate (the “roof” of your mouth), in your nostrils and lungs? Does it taste of toasted oak or black tea? Does it burn smoothly or sporadically? Where do these variations come from? The answers to those questions tell the story of terroir — where the plant was grown, who grew it, how and when it was grown, and even to a certain extent why. Let’s start with where the word “terroir” (pronounced “tear-wahr”) originally came from. It derives from Renaissance French, roughly translating as “land” or “territory.” The concept has been key to wine for decades and is now starting to cross over to cannabis. The term was brought into wider usage around the mid-20th century, when French wine producers became concerned about the future of their wine industry (similar to what’s happening today in the booming cannabis business). Wine production in the New World, particularly in California, was taking off and increasing competition. So, to bolster the cachet of their wine, those clever Frenchies marketed the idea that the very land itself — the terroir — was special. That’s a matter of taste, of course. Still, it’s undeniable that terroir as a concept helps connect us to the place where wine (or cannabis) is made, leading to a greater appreciation of the product. Pinot noir made in Oregon tastes distinctly different than the same grapes grown and vinified in Burgundy. By the same logic, cannabis grown and processed in Humboldt County, California, by someone who has been crafting cannabis there for many years, should produce a distinctive sensory experience, different from the same strain grown elsewhere by less-experienced growers. Terroir is heady stuff, and there’s some debate over whether the concept should even be applied to cannabis — you don’t often hear brewers waxing poetically about the whys and wherefores of their beers, after all. But I personally think the idea has merit, especially if it makes folks take heed of their weed and where it came from. What Factors Influence the Terroir of Cannabis? 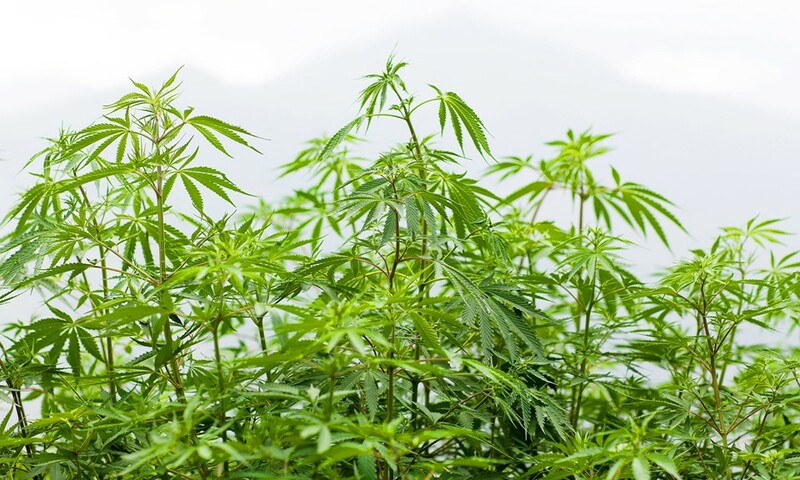 Historically, the terroir of cannabis traces back more than 10,000 years to Asia and China, where the first naturally occurring cannabis plants were cultivated and farmed for medicinal (marijuana) and industrial (hemp) purposes. Over time, cannabis has spread around the world, thanks in great measure to its adaptability. The plant thrives in a diverse range of environments, from the tropics of South America and redwood forests of Northern California to the inland coastal valleys of Alaska and rainforests of Oregon. Just as there are many different varieties of grapes, there are as many (if not many more) cannabis strains that have been developed around the world. Each strain has become very well adapted to specific regions — from Afghanistan to Mexico, Hawaii to Jamaica — and expresses its true essence when grown there. A variety of cannabis that has adapted to the local environment of a geographic location is referred to as a “landrace,” which comes close in translation to wine’s definition of terroir. Regardless of where a strain was developed, terroir also refers to the complete natural environment in which a grapevine or pot plant grows — the soil type, climate, temperature, sunlight, moisture, microbial life, and more. All of these environmental factors factors contribute to the character — including the appearance, aroma, flavor, taste, and texture — of the final product. 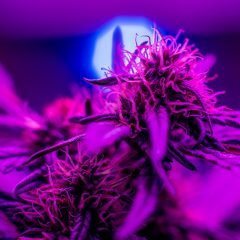 Furthermore, as grapes must be processed and aged to become wine, so must the cannabis plant be processed and cured to become the dried flower we’re accustomed to purchasing. Properly aged and cured cannabis tastes better than wet-trimmed, flash-dried bud, just like a well-aged wine can be more complex than a new wine. A grower’s choices in how he or she ages and cures his or her flower can highlight or mute certain elements of terroir initially derived from the soil, climate, and more. 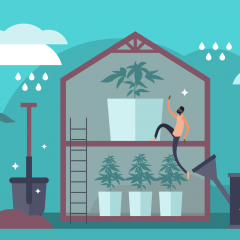 How Do Growers Impart Character to Cannabis Through Terroir? Cannabis plants are much hardier than grapevines, and indoor cultivation can be done with such scientific accuracy as to eliminate “vintage variation,” a common concern in wine connoisseurship. With pinot noir, for example, terroir plays a crucial role: in good years, the growing season must be cool enough to produce the perfect balance of acidity and sugars in the grapes in order to produce a wine of superior quality. 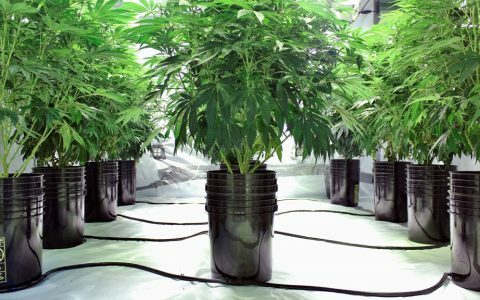 Compared to vineyards, most indoor cannabis farms have almost complete control over soil, light, temperature, and humidity. 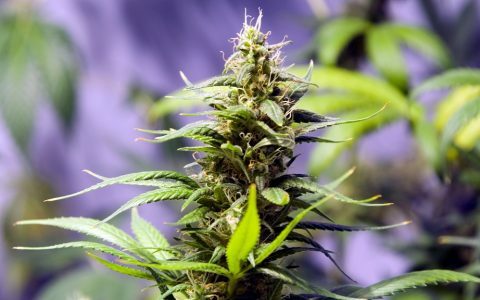 Therefore, cannabis that is cultivated outdoors, in the natural soil and according to the elements and growing season, could be said to have much more terroir in the traditional wine sense. Imagine, for instance, taking a trip to northern California to tour the Emerald Triangle, the largest cannabis-producing region in the United States. Rumors are that 18-foot-tall plants and rare, hard-to-come-by strains are grown here. Signs direct you to mom-and-pop cannabis floweries, tucked back in the rolling hills. You head to one you read about on Leafly. Supposedly it’s been operating and developing “estate” flowers for 70 years, even during Prohibition. This level of cannabis connoisseurship is not a new thing, but the ability to curate a collection of strains, like a library of wine, is more possible now since the legalization of recreational cannabis in some states. 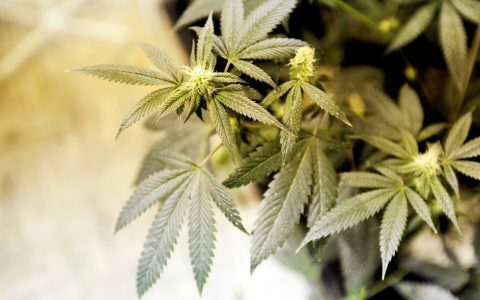 In Oregon, more than 700 licenses have been granted to grow cannabis in the past year alone — that’s more than there are wineries in the state (676), a number that has taken 40 years to get to its current mark. That said, many of these growers are entrepreneurs who have never cultivated an agricultural crop before — in other words, they utterly lack an understanding of terroir. In the mind of the consumer, this should raise concerns about the methods by which the cannabis is grown (if you think all cannabis is created kindly and organically, think again), or at least lead the buyer to question whether the caliber of the product is as high as it would have been under other circumstances. Cannabis is an incredibly willing and able plant to perform in whichever conditions a grower wants to give it, and the final product depends to a great extent on how these environmental and experiential factors are manipulated and controlled. To truly understand and isolate the things you love about your favorite strains is to understand terroir — not just the place where the cannabis was grown, but also who grew it, and how. 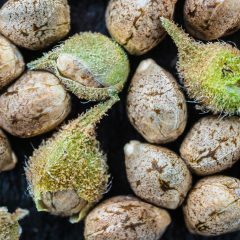 When Is the Right Time to Harvest Cannabis Plants?